Once in a while I stroll down Golborne Road in North Kensington, and go window browsing along this ‘Bohemian’ part of town. The street is mainly dotted with Lebanese and Morrocan grocery stores and restaurants, and also the renown Cafe Lisboa, a favourite Portuguese cafe selling amazing nata cakes and milky lattes. 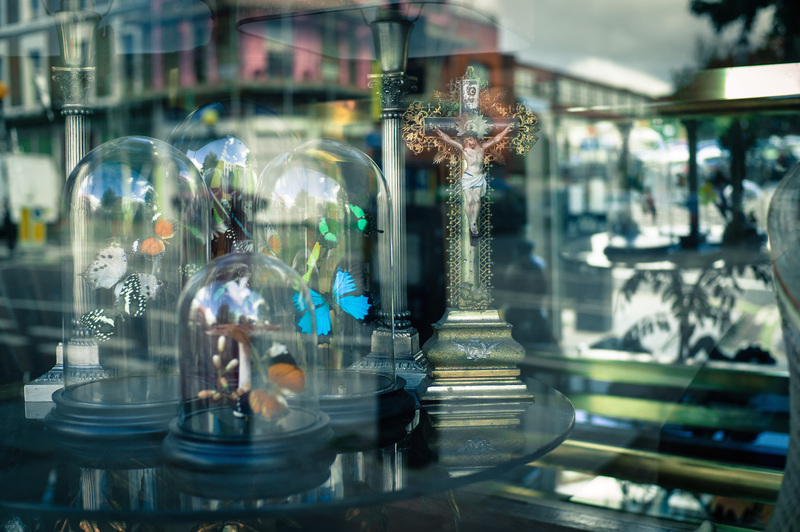 This was a lucky shot of a window display from a second hand antiques and interior store selling some truly amazing recycled, found and vintage furniture.